Our REV was an early model. It came with one battery and the WFCO inverter. Three weeks ago I bought two Duracell AGM batteries from Sams Club made by the same company as the original. Both manufactured during April 2017 I followed online instructions for the connections. Finished by dark and left in the morning. Orlando to Ohio trip with two overnight stops at rest areas. As soon as I turned on my add-on 400-watt inverter to watch TV, the low power beep started from the inverter. We ran the generator instead each night. 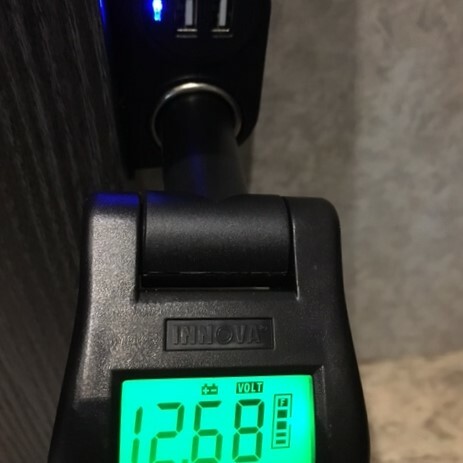 The whole trip, I thought driving wasn't charging the batteries. Only three lights would light on the panel and sometimes two. Back in Orlando, I used a meter on the coach battery terminals and saw a rise in voltage with the engine running. BClemons, you say that Dynamax doesn't install WFCO anymore. What do I do to replace the inverter? I am capable of a swap out of the WFCO to a Progressive Dynamics, but which one? What do the new REV's have that I didn't get? On an earlier post, you had a PDF with pictures of the 50 amp fuse and passenger door pillar. I checked the 50 amp and it was good. The connections inside of the door pillar are completely different on my REV. By the way, the switch on the dash has never done anything. I would expect a click of a selenoid. I pulled all of the drawers to expose the solenoids, but no click. If you call Progressive Dynamics, you give them the model of your WFCO an I think they have a direct replacement. (I assume you mean converter and not inverter). If you are seeing a use in voltage with the engine running, I assume that the alternator is charging the batteries. Can you confirm that the batteries are charging when plugged in? Or Gen power? I disconnected the 120 Volt power cord and turned on all of the lights and vent fan for an hour. I turned everything off, then used a meter at the battery terminals to check voltage. I started the generator and watched the voltage rise on the battery terminals. I shut the generator off and plugged back into 120 volts. I watched the meter again, and it did rise with the converter, but much more slowly. I also moved the 400-watt "inverter" to the floor just above the batteries. I used #10 cable to connect it to the batteries with an inline fuse. I had the inverter up in the box under the audio system and tied into wiring there. Now it is on the floor with a dedicated #10 5 foot wire and fuse at the battery connection in the battery box. It had worked fine there originally. But I was getting 3 then 2 lights on the battery indicator by the door. I replaced the 1 original battery with two new AGM's and was still having the same issues. We left just hours after I installed the new batteries and maybe the stock converter didn't have enough time to charge. I ran an extension cable up behind the curved panel up to the box under the audio system. I moved the TV power into there also. 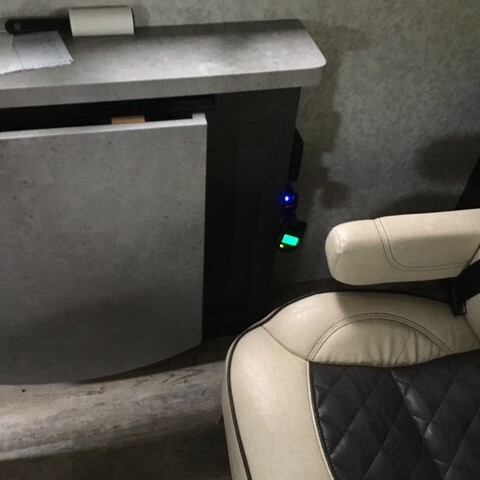 The TV can now be powered from the wall socket or the inverter. We had a 2007 Winnebago View H before the REV and I replaced the converter with the PD converter also. Stock one boiled the flooded cell batteries. I like your power meter. I think I'll get one.